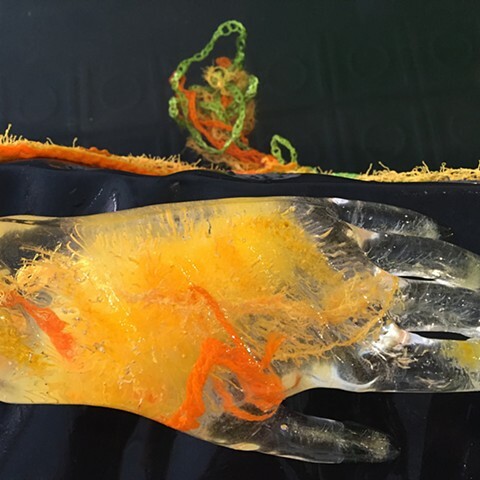 In collaboration with artist Marie Lorenz, Underwater New York, and Recess, I created objects found in New York City waterways to test in Marie's hydrodynamics test tank, Flow Pool. My original intent was to create objects and test them in a giant float/sink experiment. 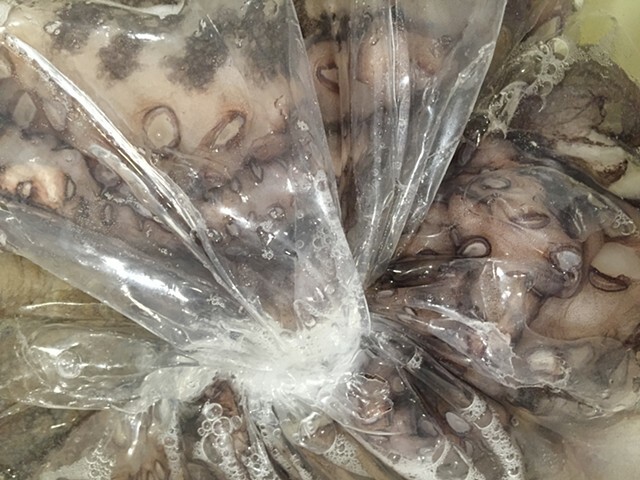 What emerged from the performance were new learnings about the nature of experimentation and performance: I spent two weeks working with a frozen octopus and toxic mold-making material before abandoning that idea and process. My crochet ice-hands melted before I arrived at the gallery, and I returned a week after the performance to test out Take Two crochet ice hands. I was elated that the Golden Cage floated, yet more interesting was the interaction between the Golden Cage and other artists’ objects.